This spacious pool home was recently remodeled. 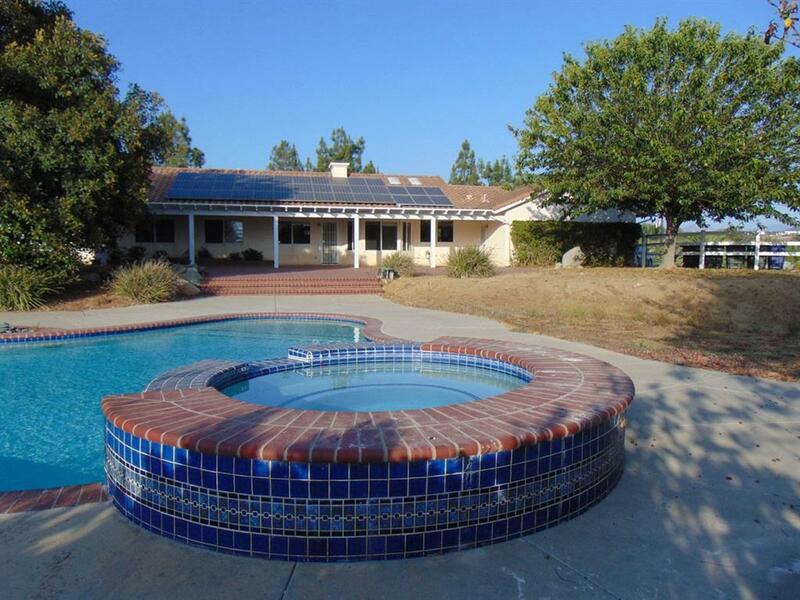 Extra large brick paved deck with full length patio cover leads to the large pool with spa. The 4th bedroom could be an office with glass French doors. 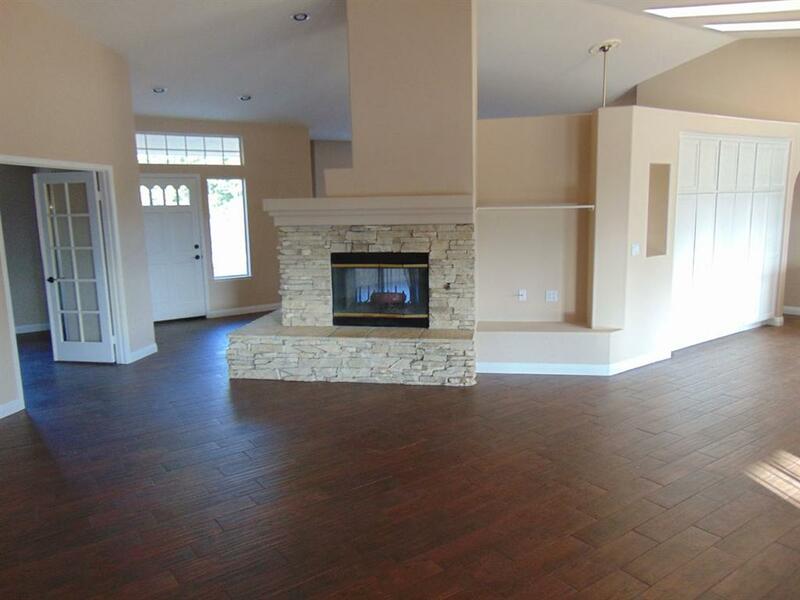 High ceilings in the Kitchen, Living Room and formal Dining room. 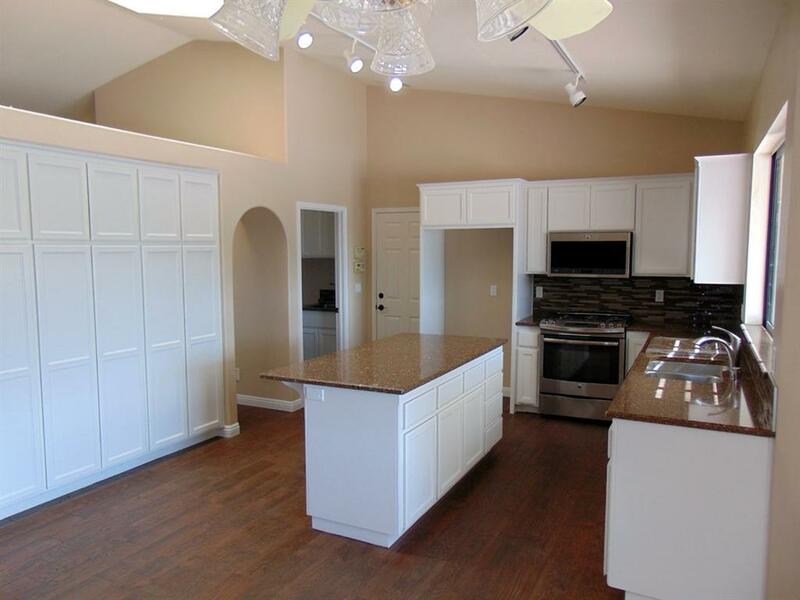 Kitchen has lots of cabinets and pantry. Granite counters, custom floor tiles that look like real wood. Comes with solar panels and whole house fan to offset your electric bill. Horses welcome with a 2 stall horse barn with tack room/storage. 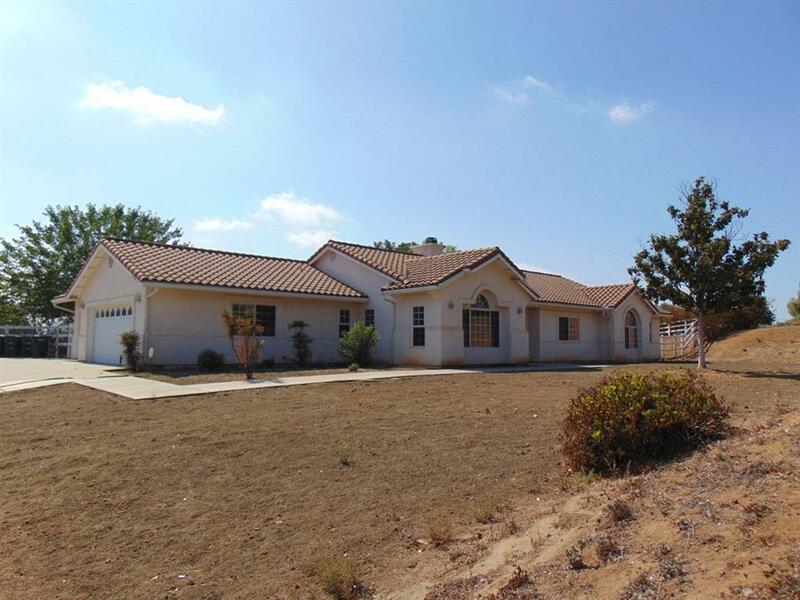 This spacious 2,317 square feet, 4 bedroom and 2 bathroom was recently remodeled and sits on a 2.19 acre lot. Central Air Conditioning and heating.Skylights in kitchen. Master bedroom has both a walk in closet and reach in closets. Step in custom shower and soaking tub. Separate utility room with sink. 3 car attached garage. Comes with solar panels and whole house fan to offset your electric bill. Horses welcome with a 2 stall horse barn with tack room and storage. Owner pays for pool maintenance. Close to schools, no driving; 2 blocks to High School, nearby Elementary and Middle school bus stop at side of house. Guest house on property is also vacant. Listing provided courtesy of The Broker Network. Listing information © 2019 San Diego MLS, Inc.